Andhakaranazhi Beach | A Peaceful Spot to Reconnect with Nature! Andhakaranazhi is a peaceful spot for a day out. 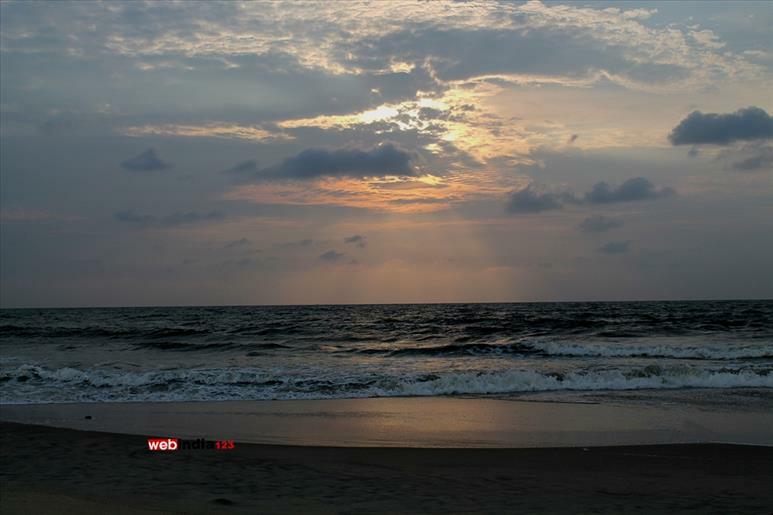 Kochi and Alappuzha can equally claim it’s beauty, the place being located 30 Km from both the ends. It’s 5Km from the highway. In Malayalam, Andhakaram means darkness and Azhi means estuary, which makes it ‘The Lagoon of Darkness’. 30 years ago the effulgent Manakodom lighthouse was built, removing the veil of darkness in Andhakaranazhi. The lighthouse stands tall as a signal tower guiding the seamen during night. 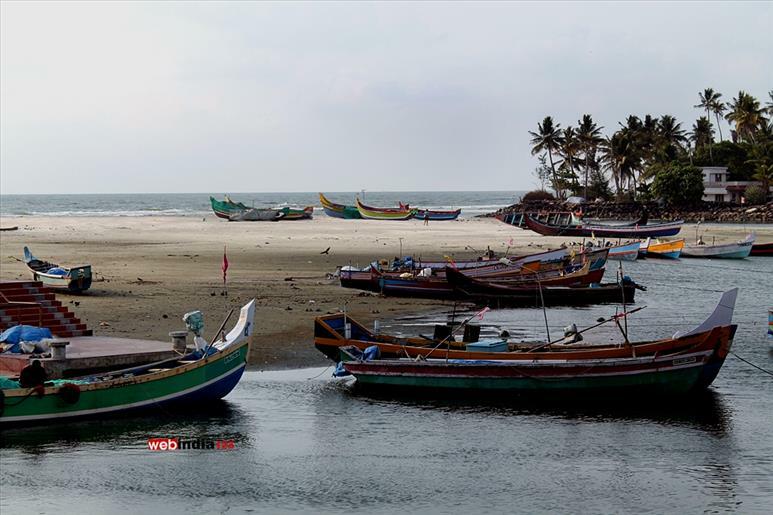 This isthmus shows the joy of Alappuzha backwater’s getting the taste of Arabian Sea. A newly constructed bridge, near southern barge across the isthmus, takes us straight to our spot, the Andhakaranazhi beach. Large shutters are constructed to regulate the flow of seawater into the paddy fields. Occasionally men pitch their fishing nets, standing on this barge. A canvas shoe shaped thermocol pedal boat is enough for the Andhakaranazhi fishermen to ride the rough waves of the Arabian Sea, they venture deep, catch the prey and return to the shores. The place is known for shrimp farming which is harvested with Chinese nets. We could also visit one of the oldest churches, St Francis Xavier Church and Vyatha Trimurthi Temple, dedicated to Tri gods in single sreekovil, nearby. Fr Xavier Khan Vattayil’s Abhishekagni convention happened at the church here. Extending up to the sea wall, there is a walkway that doesn’t let us miss the ravishing view of the sunset. Sitting on the shore, all can enjoy the waves and the sea breeze. This beautiful beach is ideal as an evening recreational spot.